Dragon Ball Z is the sequel to the first Dragon Ball series; this next sequel follows the story of Son Goku and his comrades defending Earth against numerous villainy forces. There are many dangerous foes which can threaten the Earth’s safety; therefore, our heroes also need to have equal strength and power. As such, it will be interesting to see who are the strongest warriors of Dragon Ball Z saga. And so, let’s find out the top 10 most powerful Dragon Ball Z characters! * Note: This list only includes Dragon Ball Z characters; therefore, we only consider characters featured from the season 1 to season 9 of TV anime series, and Dragon Ball Z movies. This list also includes individual characters only, which mean fusion characters like Gotenk, Gogeta, and Vegito are excluded. Super Buu was a dangerous Buu form created by Evil Buu eating Good Buu. This Super Buu was extremely powerful, and extremely ill-tempered. This version of Buu was easy to be in rage, and it is said that if his rage was high enough, he would even tear the dimensional walls. Besides his power and maniac characteristic, what made Super Buu extremely dangerous was his ability to absorb other warriors. He was even able to absorb Gotenks (Gohan and Trunk fusion form), Piccolo, and Ultimate Gohan. Of course, Super Buu might not be a threat towards Super Saiyan Blue Goku or Super Saiyan Blue Vegeta. But back to the day, Super Buu was totally a fearsome being which could only be bested by Vegito, fusion form of Goku and Vegeta. 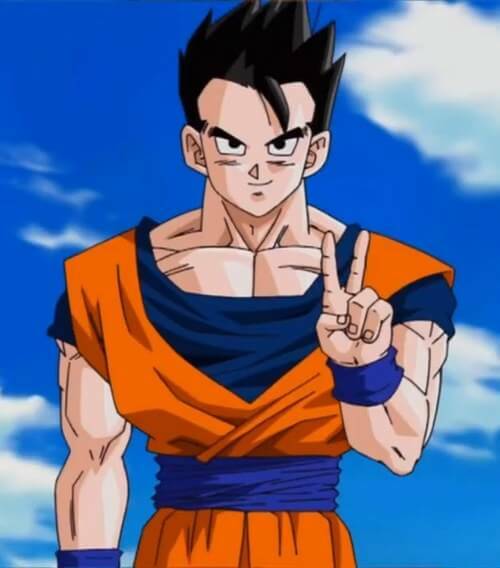 Gohan was Goku’s first son and he was said to be the one who could surpass his father. During the Perfect Cell Saga, Gohan proved his potential as he could achieve Super Saiyan Level 2. This was extraordinary since so far there has been no other Saiyan could do that. During the Majin Buu Saga, the Old Kai helped Gohan to unlock his true potential. By unlocking this potential power, Gohan could easily achieve Super Saiyan Level 3. Also, even if he didn’t become Super Saiyan Level 3, he already had an immense power with his Ultimate Gohan form. This Ultimate power of Gohan was so great that it could even threaten Super Buu – one of the most dangerous threats in Dragon Ball Z. Kid Buu was the main antagonist of the Kid Buu Saga, and also probably among the most dangerous foes Goku and his comrades had to face. 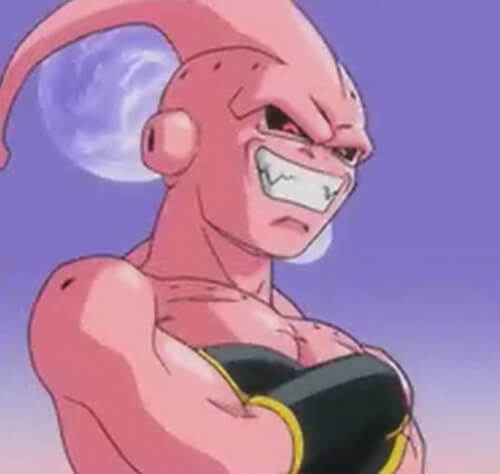 Just like what we can guess from his name, Kid Buu had an extremely childish characteristic. He was similar to a spoiled brat, but worst, he didn’t have any sort of conscience or remorse. As a child, Kid Buu had a very limited vocabulary as he often spoke in childish manner, phrases like “Me Buu, kill you!” As childish as he might sound, do not mistake him as a simple child. 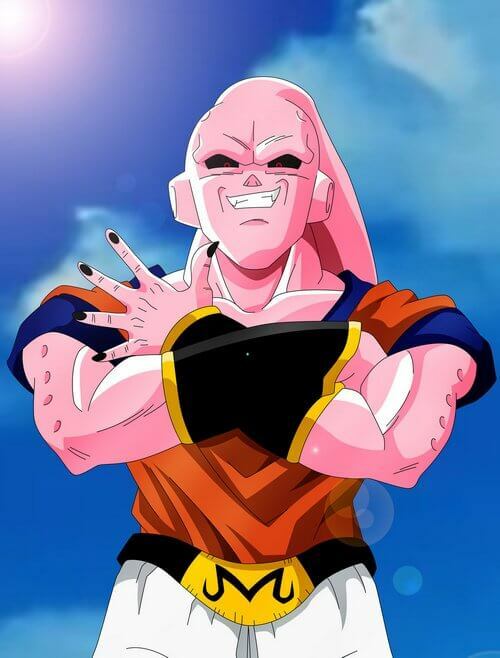 In truth, Kid Buu was the strongest and also the purest, most sinister version of Buu. His crazy characteristic and ruthless, psychopathic lust for destruction made him one of the most dangerous foes Goku ever faced, not just because of his might, but also his maniac trait. 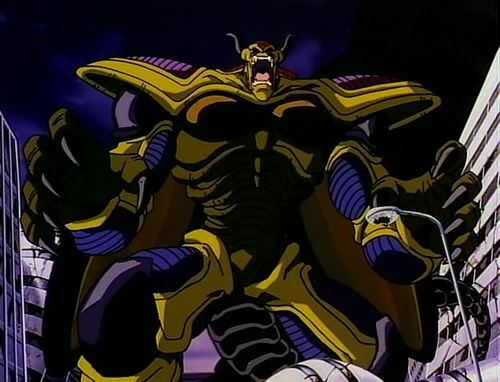 Originally a Demon God statue which purified the hearts of people on planet Konats, Hirudegarn was eventually corrupted by Kashvar mages and became the fearsome antagonist in Dragon Ball Z Wrath of the Dragon. Hirudegarn is a fearsome monster whose goal is solely destroying everything on its path. To some extent, it is a true mindless destroyer without feeling, conscience, or remorse. Hirudegarn is an extremely powerful colossus, as in Dragon Ball Z Wrath of the Dragon; it changed its form several times. With its final form, it could easily overpower Super Saiyan Level 2 Gotenks. When Super Saiyan Level 3 Gotenks unleashed his Continuous Die Die Missile upon Hirudegarn, the colossus’s onslaught was only delayed for a short while. In the end, it required Super Saiyan Level 3 Goku to destroy Hirudegarn with his ultimate move: Dragon Fist. Janemba was the main antagonist in the movie Dragon Ball Z Fusion Reborn. On the outside, Janemba looked like a yellow fatty monster with bizarre holes on his shoulders and belly. However, in truth he was a true incarnation of evil, a sinister being that was so powerful that he could even outclass Super Saiyan Level 3 Goku and Vegeta. In his initial form of a fatty monster, he was easily taken down by Super Saiyan Level 3. But thing turned out extremely rough when he changed to his second form. 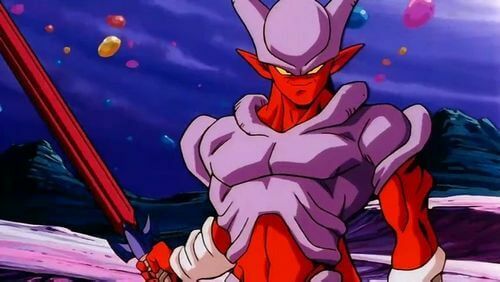 In his second form, his body changed to humanoid body with red skin and purple armor. His powerful also dramatically increased that the co-operation of Super Saiyan Level 3 Goku and Vegeta was unable to beat him. Due to his tremendous power, Goku and Vegeta had to fuse into Gogeta in order to defeat him. Frieza was first introduced in Dragon Ball Z TV anime series as the prime antagonist of Frieza Saga. He was the conqueror of worlds until his defeat by Goku, and later on he was slashed into pieces by Future Trunk. However, in Dragon Ball Z Resurrection F, this fearsome villain finally made his return as a more powerful and more wicked villain than before. After his defeat by Future Trunk, Frieza was resurrected by the power of Dragon Balls thanks to his lackeys’ effort. Knowingly that his mortal enemy, Son Goku, has achieved various feats and even stronger power, he admitted that he would need stronger power. And for the first time of his life, he actually committed to training with hope that he could take down Goku. 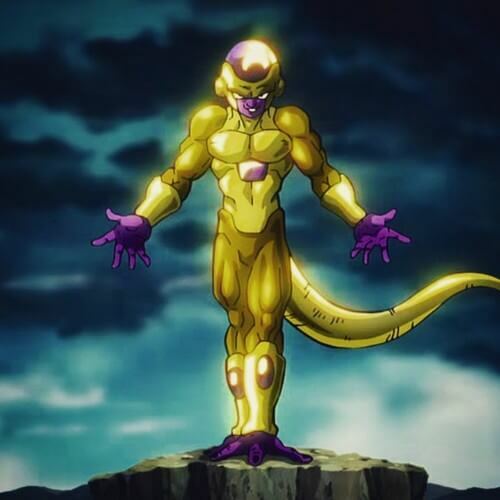 Finally, time had come for Frieza as he attained even stronger power: Golden Frieza form which could even rival Goku’s Super Saiyan Blue. By the end of Dragon Ball Z Resurrection F, Frieza was ultimately bested by Super Saiyan Blue Vegeta. It pushed Frieza to a point that he had no choice but to destroy the entire Earth. If not for Whis’s time warp power, Earth, along with Vegeta, could never survive. Vegeta was initially introduced as an evil Saiyan Prince who wanted to dominate Earth. He was extremely cocky and proud of his strength, that was until Goku defeated him and later Vegeta became Goku’s rival. Vegeta has constantly trained in order to surpass Goku, he achived the Super Saiyan and Super Saiyan Level 2. However, he was unable to gain Super Saiyan Level 3 while Goku had it. 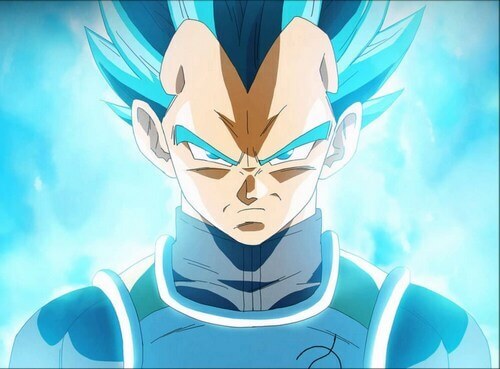 That said, Vegeta was still be able to attain the Super Saiyan Blue and fought on par with Golden Frieza. Or rather, he even surpassed Golden Frieza, which forced Frieza to have no other choice but to destroy the entire Earth. Nonetheless, Vegeta was a powerful warrior alongside with Goku, and thanks to Vegeta and Goku’s fusion forms that they defeated many dangerous threats. Goku is our main protagonist throughout the Dragon Ball Z series and by far he’s the strongest mortal hero in Dragon Ball Z (excluding fusion forms like Vegito or Gogeta). He is probably the first living Saiyan to obtain multiple levels of Super Saiyan, especially the Super Saiyan Blue in Dragon Ball Z Battle of Gods. Son Goku is the typical heroic figure who doesn’t have selfish desire for power, control, or money. His primary goal is to learn martial art, and ultimately, defend the Earth when the time comes. He has fought with various powerful enemies throughout the series and he has proved to be quite resourceful. 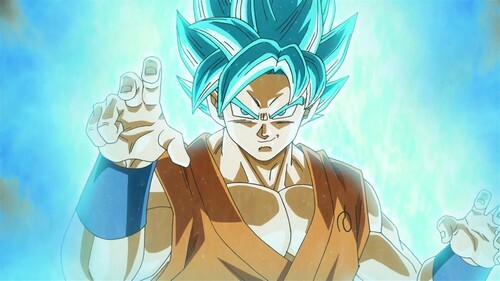 With his signature Kamehameha move, the Spirit Bomb, and the double-edge technique Kaioken, Goku can fight one-on-one with almost all Dragon Ball Z characters. Therefore, he arguably ranks third on this list. Beerus is an Egyptian-cat humanoid being who often wears Egyptian garb. He may look small but by all mean do not underestimate him solely on his appearance alone. He is actually a God of Destruction of Universe 7, whose role is to destroy every planet which poses dangers towards the balance of the Universe. As a God of Destruction, Beerus possesses immense strength and power (as he can easily destroy a planet) and so far it seems he can easily take down every Dragon Ball Z characters except for Whis, his trainer. In Dragon Ball Z Battle of Gods, Beerus awoke after his slumber and seek a new warrior who defeated Frieza. Eventually Beerus found Goku and tested him in a fight. At the time, Goku tried to spar with Beerus in Super Saiyan Level 3, but still he failed drastically. Later on, Goku achieved the power of Super Saiyan God and fought Beerus once again. Though Goku was able to last longer in this fight, Goku was still nowhere to defeat Beerus. 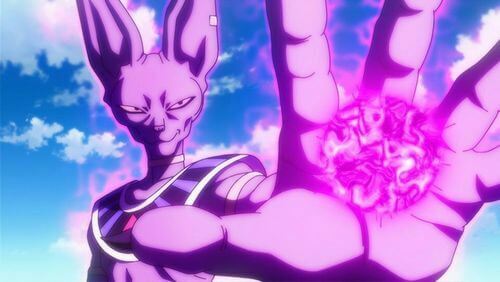 Nonetheless, Beerus felt satisfy with his battle with Goku and decided to spare Earth from destruction. 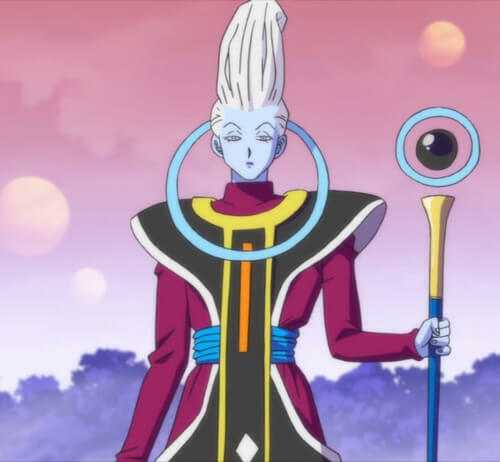 Not much we’ve known about Whis’s personal story, except for the fact that he is Beerus’s martial art mentor. The true extent of Whis’s power has never been fully revealed, but according to what we’ve seen so far, Whis is probably the strongest character in Dragon Ball Z. In Dragon Ball Z Battle of Gods, Beerus mentioned that Goku was only the second strongest battler he has faced. Taking that into account, the strongest foe Beerus has fought is undoubtedly Whis. Whis seems to possess extremely fast speed, and he even has the power to reverse time. For example in Dragon Ball Z Resurrection F, Whis brought Goku and his comrades back to 3 minutes before Frieza destroyed the Earth. And thanks to that, Goku was able to deliver a fatal God Kamehameha hit to Frieza, which successfully stopped Frieza from destroying Earth. In Dragon Ball Super, we haven’t seen much of Whis’s full power neither, but one thing can be sure that Whis is among the strongest Dragon Ball characters, even stronger that Lord Beerus. And that’s it folks! Which Dragon Ball Z characters do you think are the strongest? Feel free to share with us and for now stay tune for more news in the future!